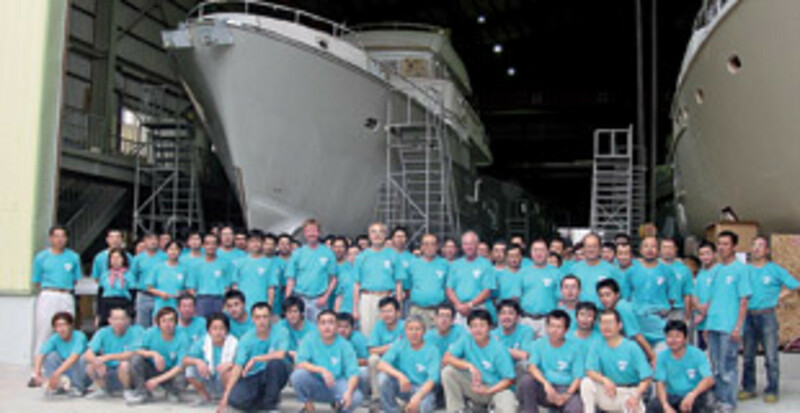 Dan Streech is co-owner and president of Pacific Asian Enterprises, which designs, builds and distributes Nordhavn trawler yachts. Streech&apos;s interest in boating began when he was in high school with the purchase of a small cruiser used for scuba diving and exploring Catalina Island and the California coast. 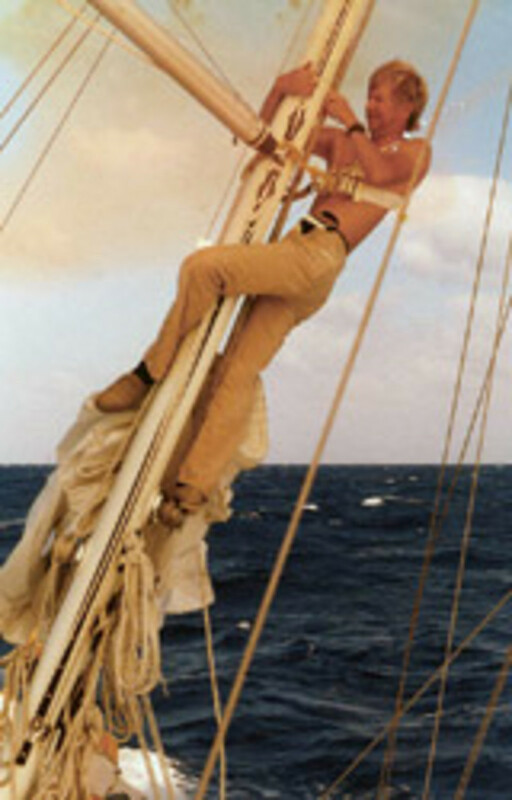 After graduating from California Polytechnic State University-Pomona in 1970 with a degree in business, Streech and his family cruised for a year aboard their Alden yawl Malabar VII. 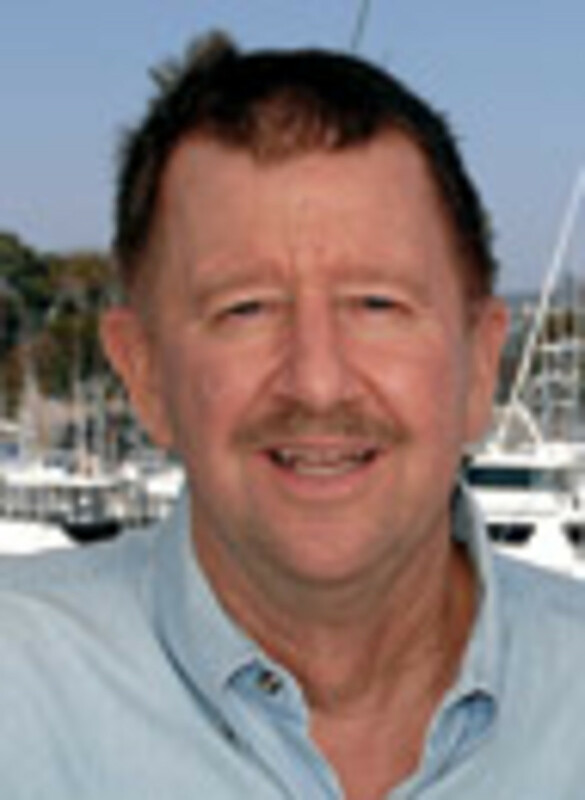 In 1972, Streech started his career as a yacht salesman, and in 1974 he opened a yacht brokerage. 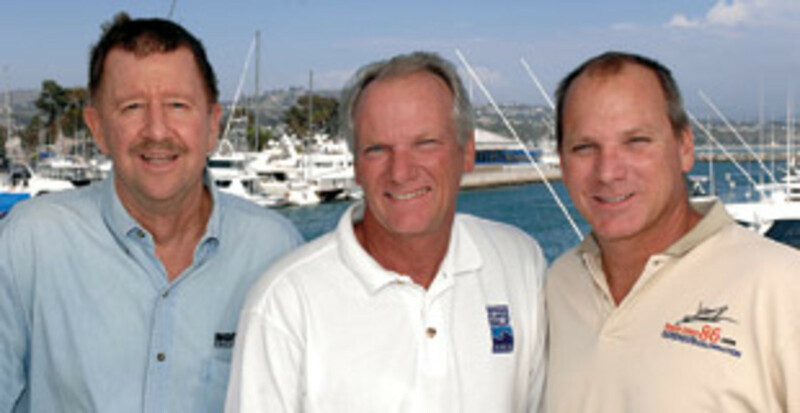 The brokerage evolved into the present-day PAE, which is owned by Streech and brothers Jim Leishman, who serves as vice president, and Jeff Leishman, who serves as chief designer. The business began as a brokerage, but by the late 1970s, PAE had established its own line of sailboats. The first PAE design was a 43-footer designed for the company by naval architect Al Mason. 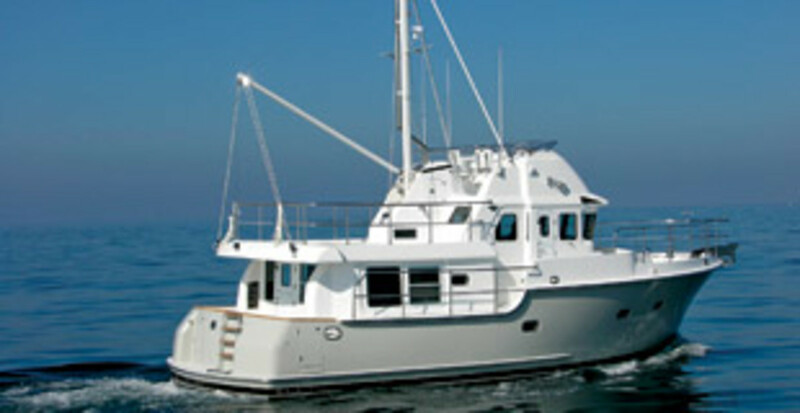 In 1988, the company developed the first Nordhavn trawler, so named because its style and look were reminiscent of North Sea fishing trawlers. Hull No. 1 of the N46 was completed and shipped in early 1989. In the 1990s, the company built the last of its Mason-designed sailboats. The Mason molds were destroyed in 2002 to make room for more Nordhavn production. A Nordhavn made history as the first production poweryacht to circumnavigate the world, from November 2001 to June 2002. With a rotating crew of PAE officers and employees, the record-setting voyage covered more than 24,000 miles in 170 days, starting and ending in Dana Point, Calif., where PAE is headquartered. Streech, 61, lives in San Juan Capistrano, Calif., with his wife, Marcia. The couple has six children. In his spare time, Streech enjoys auto racing, Formula 1 in particular, and gardening. Q: How is your business doing - are you selling boats? A: The boatbuilding business, in general, is in pretty lousy shape - we all know that. And we all know the disasters that are out there. Our business is definitely not as good as it was 12 months ago, but probably better than most. We might even be in the best position out there. We are selling boats at about half the rate that we did a year ago, although the average size of the boats is larger, so our revenue is only down slightly so far. We have sold 10 boats in the first six months of this year, and in the same six months of 2008 we sold 20 boats. I think that pretty well sums it up. We&apos;re selling at a rate of about half of what is normal if, indeed, our former life was normal. We expect that for probably the next 18 months or so. We sell worldwide in U.S. dollars, and so we tend to rise and fall in various regions depending on the strength of currencies. When the pound and the euro were strong, we got busier in those locations. We sell worldwide and, I would say, on average, it&apos;s probably about half in the States and half throughout the balance of the world. But that ratio moves around depending on economic conditions and exchange rates. Q: What, if any, cost-cutting measures have you taken to keep your business going? Have you had any layoffs? A: When "it" started - and I define "it" as Sept. 1, 2008 - there were certainly plenty of warnings and so on, but that&apos;s my personal definition of when "it" started. At that moment, we were just coming off just a rocket-ship period of time that had gone on for several years, actually. We were sitting with about 80 orders at that moment, and so even though the orders basically fell down to almost nothing there for those first couple of months, we were actually still operating at full speed. In many ways you didn&apos;t even know anything bad was going on if you didn&apos;t read the paper. We went all through the fall and winter and holidays and early part of the year just building out those orders, so there really wasn&apos;t even a reason to cut back, because we were still busy with all that we do in building and shipping and delivering and warranty and all the support that goes with that. As we have gotten to this point in the year, we sit here now with about 25 orders, and we see the pipeline emptying out. At that old build rate and the new sell rate, it doesn&apos;t take a genius to see that we are basically going to run out of orders at some point. We don&apos;t want to create an inventory of stock boats, so a downsizing is probably in our future. The good news is that we have a safe path to downsizing to match the new reality, and we&apos;re just basically sitting here trying to decide if and when to cut back. So far, we really haven&apos;t. It&apos;s just been the low-hanging fruit, the easy stuff, the fat that grows on any business that&apos;s busy and expanding. Any business owner will know what I mean by that. There are so many things you get lazy with, such as travel and saying yes to every new IT gizmo and permitting silly things that you just don&apos;t have the ambition to say no to. We have initiated an attitude at this point of tightening up. We haven&apos;t actually laid off anybody. We have about 1,000 people, and we&apos;re probably down about 50 people since last September. We have frozen hiring, and we&apos;ve let natural attrition take away about 50 people, and it&apos;s been just about right. We&apos;re probably at a decent equilibrium point right now, but if the sales rate continues as it is, then we&apos;re going to have to do some actual cutting or reducing the size of the company, and that is not far away. Q: Has your company seen an impact from the credit crunch, either on the wholesale side or for clients trying to get loans? A: No, the credit crunch hasn&apos;t really affected us directly. The majority of our boats are purchased with cash, and those that have been financed over the last nine months have closed nominally. I personally haven&apos;t seen any change. The average selling price - our boats range from $700,000 to $20 million - would be probably $3 million. Q: Do you think it helps that you&apos;re dealing with a wealthier consumer? A: No, I don&apos;t. I hear that out there. But I don&apos;t agree with it. That&apos;s kind of a sound bite that people drop without really thinking about it. The wealthy end is affected just as much as the less wealthy. There are differences. The wealthy side in many cases still has the ability to do it, but they&apos;ve usually gotten wealthy because they are skilled and smart and are able to understand things, and so many of those people have simply decided not to buy, even if they could. It just doesn&apos;t feel right for them. I knew personally of a lot of wealthy people that have been affected by this. Anybody who says they didn&apos;t get hit by 30 or 40 percent in this thing is Pinocchio in my book. Q: Your company recently marked its 30th anniversary. What are the biggest changes you&apos;ve seen in the industry during that time? A: It&apos;s just completely different than when we started. My partners [Jim and Jeff Leishman] and I were actually in the business prior to the official forming of PAE in &apos;79; we were together in a small brokerage beginning in &apos;74. The biggest change would be in communication. In those days, you often mailed a letter to communicate with someone - we obviously didn&apos;t have Internet or cell phones or fax machines. Things that we take for granted today didn&apos;t exist - AutoCAD design work, faxes, cell phones, Internet, all the communications were different. Things tended to be a lot more regional and simpler. The boats were much simpler than today. Today on a new boat, very little is even discussed on the part of it that&apos;s a boat - the structure and the rudder and the engine and the basics. It&apos;s all systems and features and décor and appliances and so forth. The boats are not even in the same universe as the old and simple boats. The business then was very regional and very local, and today it&apos;s very worldwide. The call that I was on [before talking to Trade Only], I was on Skype talking to two guys in England, a guy in Florida and two people here in Dana Point, and it was a conference call discussing a very complex electrical system. That type of event would never have happened 30 years ago or even 15 years ago. Things are a lot more sophisticated today. Q: In looking over notes from a speech you gave earlier this year, you said, "Failure is not an option." Can you explain this philosophy? A: One of the things that we&apos;ve seen in the last six months is that the various boat manufacturers have had to line up in different rows, according to who they are. You&apos;ve got the corporate folks. You&apos;ve got the companies who were recently bought out, often times through leverage, and ended up with a bunch of crazy debt. And then you&apos;ve got the sort of entrepreneurial guys, the original owner guys - like the three owners of PAE. A lot of the original entrepreneurial guys who founded the companies that are household names today are gone now, retired. So much of today&apos;s boat business was formed in the early &apos;70s, and many of today&apos;s old names were just young guys like me and my partners when we began. What we lacked in a formal business plan or capital, we made up for with passion, street smarts, luck and hard work. These skills and that behavior are very different from the corporate rulebook and different yet again from the kind of guys who have poisoned several boatbuilders in recent years with the crazy debt that comes from leveraged buyouts. We have seen already that a lot of the corporate folks make corporate-type decisions. They sit in boardrooms, and their thought process is different from the entrepreneurial types because they don&apos;t interject a personal passion or personal identity as part of their decision process. A boat is a widget to a corporate controller, but it is the identity of a founder. The corporate folks are adverse to risk, terrified of stepping outside the established guidelines, so they&apos;re oftentimes quicker to throw in the towel, close a factory, cancel different obligations, because it&apos;s a normal corporate type move. They are not going to introduce the idea of fighting harder, working harder, working longer. They are not going to live by any guidelines that say, "Hell no, we&apos;re not closing the place. We&apos;re going to find a way to succeed." We&apos;re not them. PAE is uncorporate in our style and decision-making process. And then you&apos;ve got those companies which were sold/purchased during the boon times. These otherwise beautiful companies end up saddled with debt, so as soon as a little trouble comes along - which this is, it&apos;s just a little trouble, and history will show this to be just another recession, OK, a deeper one ... but it&apos;s not the end of the world - it puts these guys out of business. I suppose I should say thank you, because in the end, we will get more market share, but my disgust exceeds my appreciation. We&apos;ve kept our company safe from long-term debt. We&apos;ve kept our company with a culture where we&apos;re proud of success and ashamed of failure, and when you have that, the meetings are different. You just don&apos;t even think of closing down or throwing in the towel or disappointing people or failing to meet your obligations - that&apos;s just sacred. It&apos;s not even one of the agenda items. Jim, Jeff and I are personally involved in the company that we own. PAE/Nordhavn is the only business that we own and our only source of income, but more important it is our identity. We are not part of a bigger corporation. The three of us have no masters other than our obligations to ourselves, our families, our employees, our Asian partners, our suppliers and our customers. So illogical or silly decisions from a parent corporation bigger than us, pulling our strings, are just not there. &apos;Failure is not an option&apos; just sums it all up. We have numerous plans B, C, D and E ready to enact if we need to, but none of them involve failure. Q: Your boats are manufactured in China and Taiwan. What is the advantage of building there rather than in the United States, and are there any drawbacks? A: Our success in Asia is based somewhat on serendipity 35 years ago in that we met and established relationships with two superb builders. We have spent our entire careers nurturing and building on those relationships. With the given of a good factory and developer relationship, the rest is obvious: The cost of labor is tiny compared to what we see in American or European boatbuilding, and that extends out to the total cost of labor. That radiates out to many other costs, too, because a lot of what comes in for a boat is from outside services and those are lower; transportation is lower. I&apos;ll give you an example. My wife and I were in Rhode Island for the send-off party for Sprague Theobald&apos;s assault on the Northwest Passage with a Nordhavn 57. We stayed in a hotel in Newport, and they just drilled us on the costs. The basic room charge was over $300 and, on top of that, there was another $40 in tax and $25 to park the car. It was $20 for an ordinary breakfast. You go over to the Orient, either to our factory in China or Taiwan, and you&apos;ve got a gorgeous five-star room that includes breakfast for $90. Why is it $90? It costs them less to build it, less to staff it. You could list 100 things that radiate out from this lower cost of labor that all give you tailwind over in the Orient. To fly across the U.S. is an ordeal. To get from [California] to Hartford, Conn., was an all-day event. The flight was delayed, the plane was packed, and we got charged $15 per bag and $6 for a dry sandwich. You can fly to the Orient for nearly the same price, with less hassle. There&apos;s an entire culture there that is built around a self-reliant attitude, gracious service and hard work. Another condition that we have there is, because we sell our boats worldwide to Europe, to Australia and to the U.S. and the Mediterranean, the transportation from our two terminals - one in Taiwan and one in China - it&apos;s actually easier than it would be from a U.S. location. For worldwide distribution, that kind of is the center of the world, so the transportation is easy, cheap and a relatively small component of the cost of the boat. Q: What do you think the boating industry will look like when we come out of this recession - what changes need to be made? A: The beautiful thing about a recession is you don&apos;t need a rulebook. It creates a natural cleansing process, and it&apos;s all automatic. It&apos;s market-driven, and the best boats and the best companies will survive. The others will fail. Stupid things will be gone when this is all over. Ridiculous, ill-conceived, ugly boats, overpriced products and services, lazy people - those will all be gone, and it will be freshened up. There will be better boats because ... I think we&apos;ll reset the game clock. A fuel efficiency culture will probably remain as a lasting result. I don&apos;t see the big, fat hogs selling well coming out of this. I think the attitude toward fuel and energy and environment and so forth, that momentum is here to stay. I think we&apos;ll see that anything new being developed from this point forward certainly will have an eye toward that. When we begin that new life, which I don&apos;t think we&apos;ve quite gotten there yet, we will be better for it. They&apos;ll be a lot of dead bodies lying around, but we&apos;ll be better for it, and we&apos;ll start our next cycle toward excess and stupid behavior. And we&apos;ll do it all again probably about 10 years from now.